Jesus â€œseeing the multitudes, He felt compassion for them, because they were distressed and downcast like sheep without a shepherd.â€ Then He said to His disciples, â€œThe harvest is plenteous, but the workers are fewâ€ (Matthew 10:36-37). 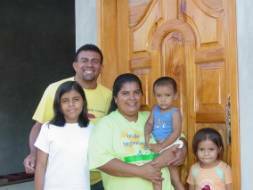 ur ministry in Zapotillo began with a medical dental evangelism team. In January 2007 Juan Alberto Herrera and I joined up with the Southeast Arkansas medical dental team from First Baptist Church, McGehee. 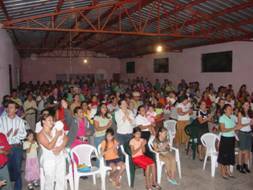 The week of January 14-18 we held twenty worship services for the medical-dental patients in Gacamaya, Honduras. 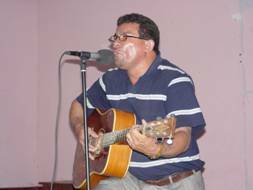 Juan provided the music and I preached and translated for pastors from the United States on the team. We praise the Lord for 310 first time decisions for Christ. This medical dental evangelism team has from its beginning ten years ago placed the emphasis on personal evangelism. We had seventy decisions in the morning worship services, but there was an equal emphasis on sharing a personal witness for Christ at each medical station. What a blessed joy to see doctors and nurses asking their patients about their personal relationship with Christ! Every patient listened to a short presentation of the plan of salvation in the worship services before they saw the doctors and dentists. Then when the time came to see the doctor or nurse these Christians shared Christ a second time one-on-one. Our thank you to the Southeast Arkansas Medical Dental Mission Team for giving Juan Alberto and me the opportunity and privilege of serving with them on this trip. Juan and I have served with them on numerous occasions. 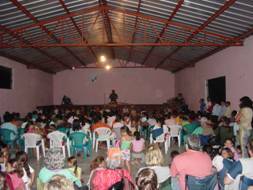 It was on such a mission trip that our work in Zapotillo began. The mission is now meeting in the mud block house on the property we purchased to build a worship center. We are ready for two construction teams to go to Danli and Zapotillo and construct two worship centers. We estimate that these can be done by teams for ten thousand dollars each. 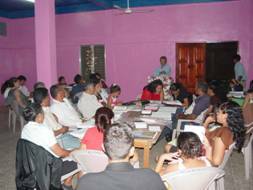 January 19-26, 2007 I also had the privilege of teaching a course on The Epistles of John to pastors and church leaders who met at Alpha and Omega Baptist Church in Danli, Honduras.